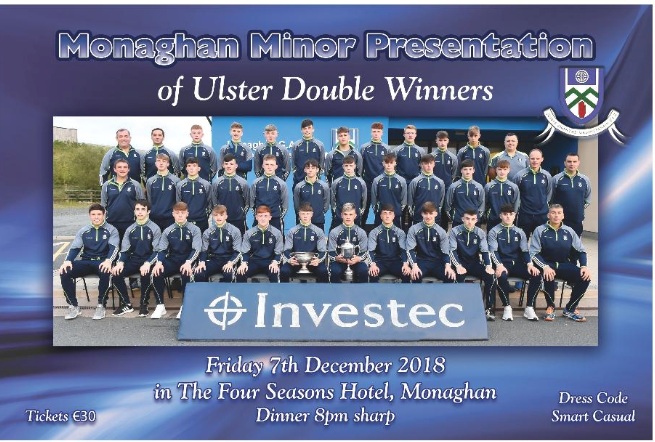 The presentation of medals to the 2018 Ulster Double Winning Minor (U17) Champions will take place next Friday night the 7th of December in our Associate Sponsor Hotel – The Four Seasons, Monaghan. 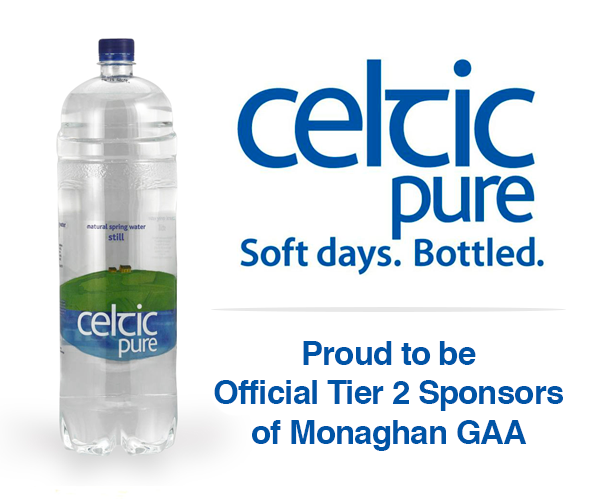 Relive the league success against Donegal and championship victory over Derry. Dinner will be served at 8pm sharp. 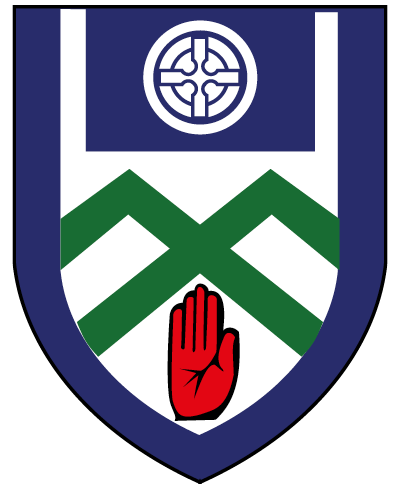 Entry is by ticket only and these can be purchased from The Westenra Hotel, Monaghan and The Fiddlers, Carrickmacross. Dress Code is Smart Causual. 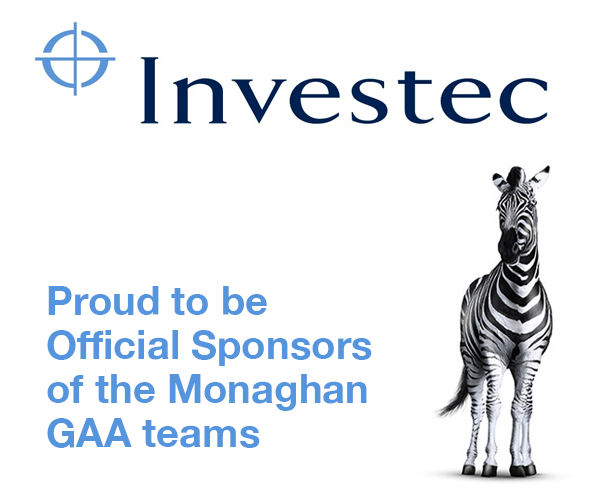 We encourage all supporters of Monaghan GAA to come on the night.